An amazing transformation, great job! I have to say, each to their own. Not everyone wants to make their gardens into a nature habitat. I tried to make mine bird friendly and all I got was pigeon poop which is hazardous to our children. It's easy to criticise but I would ask why it seems some nature lovers would gladly put wildlife before people. This is clearly a garden designed for people to enjoy. ....and I like it a lot! it's gorgeous! can you come and do my garden? How inspirational! Thank you for sharing your special place. While I appreciate the effort and investment put into it, it feels like a museum of sorts, I wouldn't dare to step on those carefully displayed pebbles or touch the white walls for fear to not smudge them. I'm not sure how to use such a garden, maybe the part with the sofa is the only usable part and the rest is for contemplating ? I agree that the garden should not be a "jungle" unless you are ready to take up the work, but this example seems to be at the other end of the possibilities, a little bit too sterile for me. Anyway, this is huge jump from actually not having a garden at all and having a sophisticated design now. And it looks bigger too in spite of all the artsy decorations, so congrats for pulling through such a project, I'm sure it wasn't simple. Wow! You should be really proud of yourself. It's an incredible makeover. I don't know what all the fuss is about. A garden is an extension of your house, nobody says it has to be for nature. Your house, your garden. Love the garden as I love the rendered white and modern wood. Personally I'd have lost the ying yang statue and grassed what you have as gravel, but it it's the perfect chill out space. Not sure how you managed to get planning permission for the canopy at the end though! Referring to Vicky's comment: Perhaps it would have been more constructive to suggest that an area 'zoned' for wildlife would be a great idea for the next project. Much more likely to convince them that it would be a good idea, rather than provoke. fantastic job - great vision and superb execution! Absolutely love your garden, what an amazing transformation. 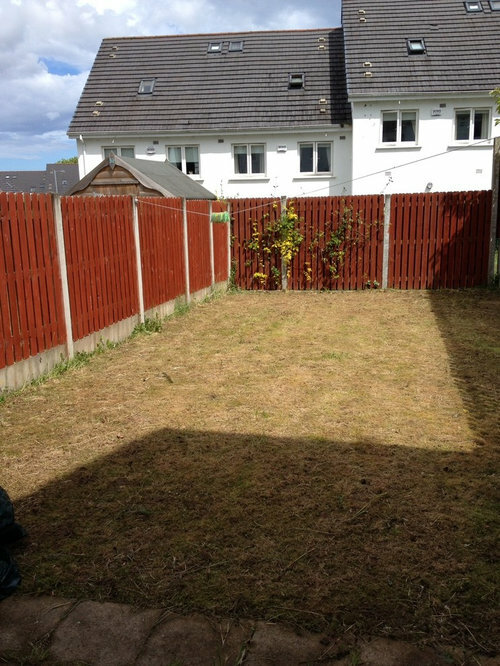 The best garden transformation I have ever seen - so much thinking outside the box! Absolutely stunning- so creative! LOVE LOVE LOVE! Stunning! As for the "lady" who was so combative in her tone, perhaps she needs to learn manners and diplomacy? I too love a garden that attracts wild life but I would never criticise others, especially in such a tone, for the choices they make in their own garden. However, if I were to do so,I would say that overgrown gardens are most unattractive! If I had the space, and the money of course, I would love a garden like this, it is truly a dream space and you should be very proud of it, absolutely the best outside space transformation I have ever seen..
Love the design and plant choices. You must be so pleased. 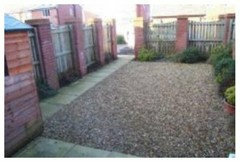 I'm a keen gardener and have a very large garden and thankfully I have the time to look after it. I like order in my garden and although I love some of the beautiful shrubs in the "other" garden it's all a bit chaotic for my liking and the Dublin garden for me would be nice as just part of my own scheme. Order and design in the garden adds to what nature provides so beautifully. I lie somewhere in the middle of the two very different styles. 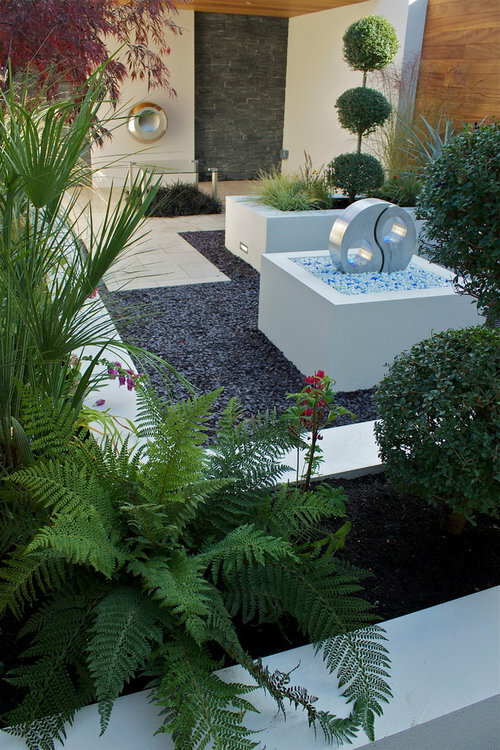 At the end of the day gardens are very personal, they should reflect your personality. Hi guys, Kevin Dennis here of Cityscape Gardener and i designed this garden took these photos! 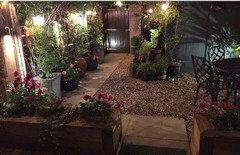 if any of you are looking for a garden like this go to my website cityscapegardener.ie to see some of my other garden projects and you can contact me directly from there! Shock!!! I wasn't expecting that when I scrolled through the pics!! What a fabulous transformation & a fantastic creation. Love it....as I can well imagine you do too. it's nice. if you had a party not sure where everyone would sit or relax. Also where would the BBQ go...probably cost a lot of money but to me it's slightly OTT. if you can wanted to sell it not sure you would get the money back. especially to family buyers.. I think the transformation you have done is amazing and thanks for sharing it with us. When you share your inspirations in this way you must expect comments and feedback. I think Vicky Allerton's response is a fair one. I don't consider her tone 'self-righteous,' more someone who is passionate about sharing life with nature, after all you are sharing this world with their natural habitat and it's amazing to watch the wildlife at night doing what they do. Your garden is a major transformation and extremely artistic and imaginative but it's not for everyone and it is very fashionable at the moment. You retorted by calling her garden a jungle. We didn't get the full picture of her garden and it is in a more naturally, nurtured state. We should embrace different tastes as that's what makes this site informative, colourful and constructive (hopefully). Well done to you both. 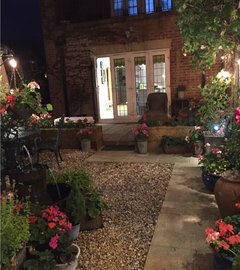 Absolutely gorgeous - love what you have done with the space and I should think it takes very little to maintain it which is important when you lead a busy life and would rather spend time with friends and family than hours of weeding and manicuring a high maintenance garden. Wow! Very beautiful to look at, but I agree it's probably over developed for a terraced house. However if it's for the owners long term use, then I'm sure they'll get many years enjoyment. Seems a very relaxing space. I think it's wonderful. Obviously, it's size and location weren't going to lend themselves to herds of thundering wildebeests or the hanging gardens of Babylon! 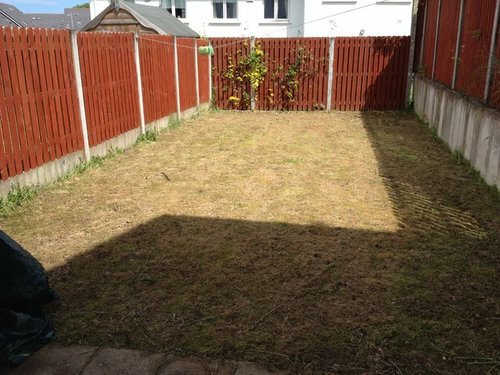 The owners have achieved a lovely usable outdoor room which I'm sure fits in well with their lifestyle. Great design combining practicality with a wow factor. One final one from the bottom looking back. Love a good transformation! Wow! What an amazing difference. Hope you enjoy relaxing in it now.